Installation instructions included in archive at purchase. 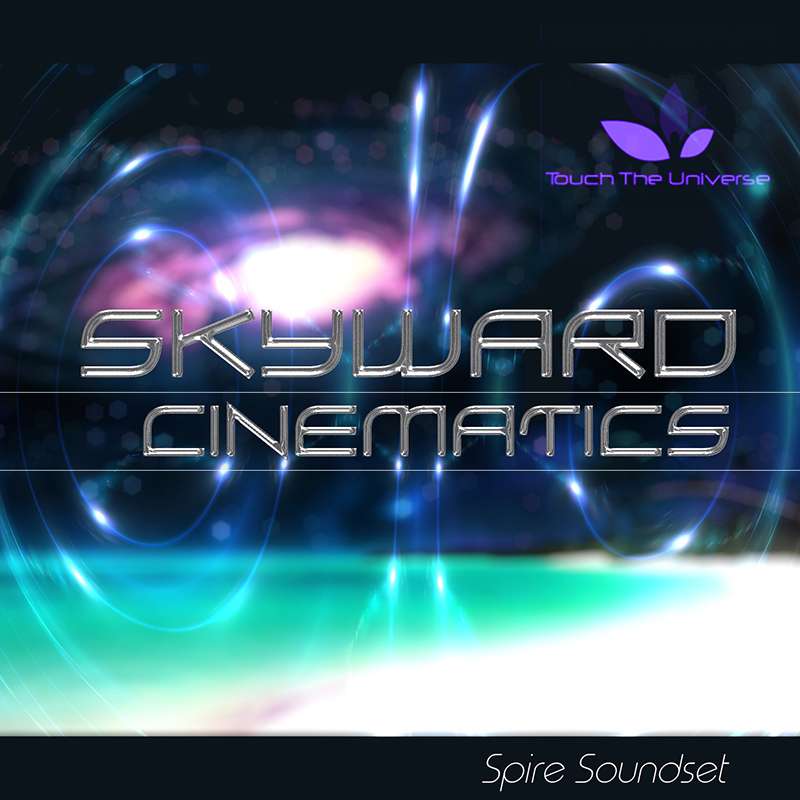 Touch The Universe Productions presents "Skyward Cinematics", a modern collection of 92 high quality Spire and Respire presets. The soundset fuses some of best sounds trending in many different contemporary electronic dance music and ambient genres, including hybrid cinematic and electronic music with a special touch of more exotic types of dance genres. in addition to providing truly unique and out-of-the-ordinary sounds not typically found in mainstream music or soundsets..The soundset includes many gorgeous pads, flowing atmospheres and breathtaking soundscapes which can be used as backdrops for any genres of cinematic music, sound tracks, or game and flim music. Included are also many contemporary bass sequences, catchy arps, exotic leads, hard hitting, punchy basses, plucks, synth choirs, vibrato strings, epic cinematic drums fx, and keys. Every patch within Zen Starfields has all four of its Macro's assigned, in addition to the Modulation Wheel. A tremendous amount of care and detail went into setting up the modulation assignments to greatly expand on the patches playabilty and depth of expression. Many of the Macro's craft the sound in such as way as to sound like an entirely different preset, so in effect the macros are morphing between patches in some situations. This is achieved with extensive modulation destinations to morph the oscillators wave tables and/or adjusting the FM amount between the oscillators. It was great fun designg and more importantly, they sound great. The Skyward Cinematics soundset comes with both the single patches in .spf format and in a .sbf sound bank containing 92 patches in total, which can be imported and stored in Spire's bank location.